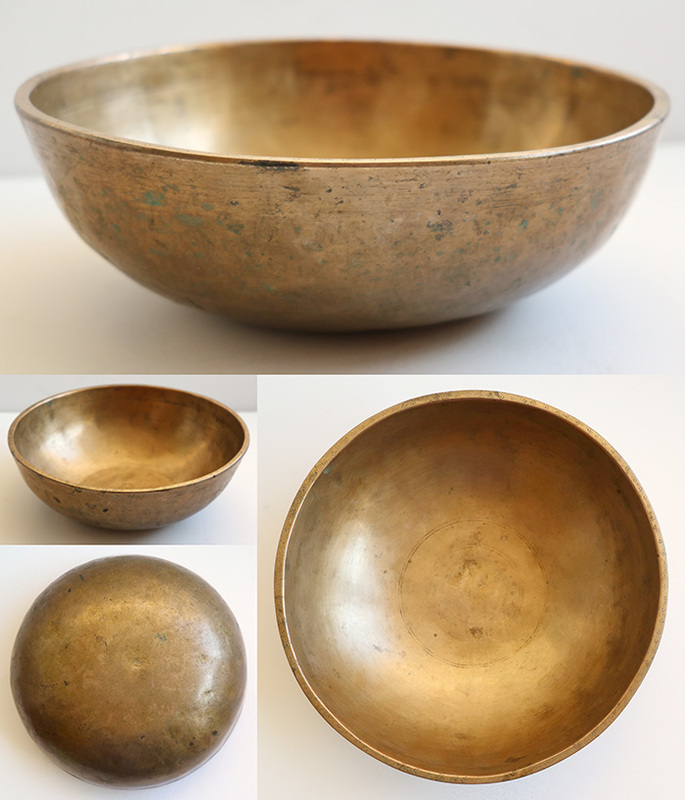 Manipuri Singing Bowls are the shallowest of the singing bowl family. They can be thick or thin, plain or highly decorated, but all are characterized by their low profile and small rounded bottom. The rim is often subtly splayed. The lip may be plain and simple or, in thicker bowls, ornamented with symbols. The outer rim is frequently decorated with several incised lines forming a collar. 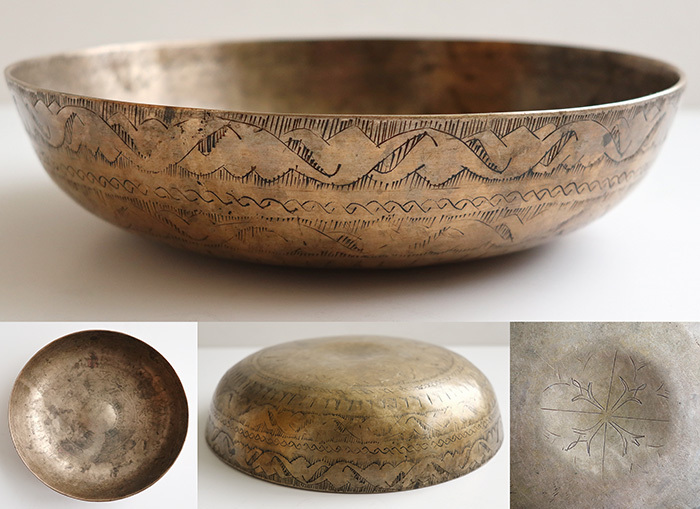 Most Manipuri bowls have diameters of 6 inches or less, and high octave voices. Some have talking abilities, but they rarely fountain. 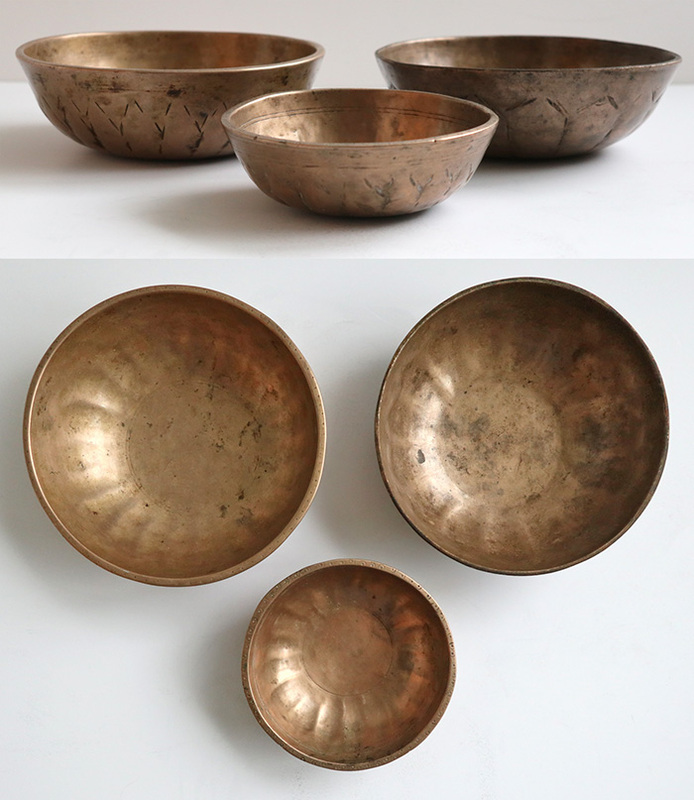 Antique Manipuri bowls are rather pretty, easy to play, and relatively inexpensive… and for these reasons they are often the first bowl purchased. 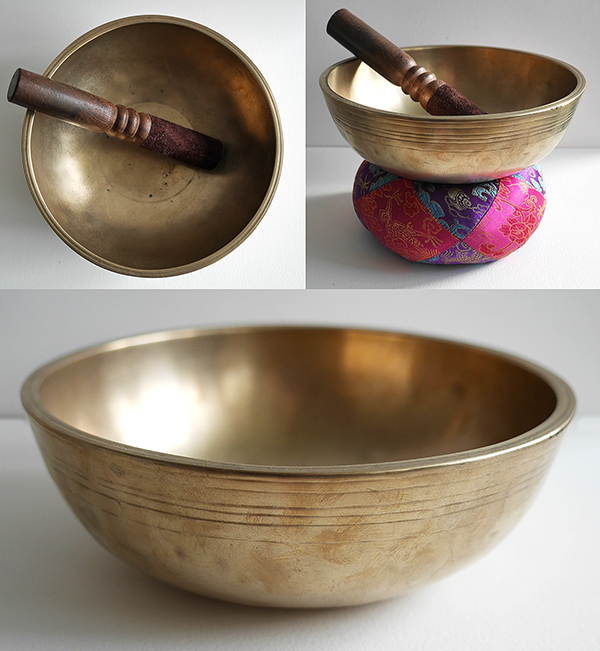 Click here for more information about Manipuri Singing Bowls.